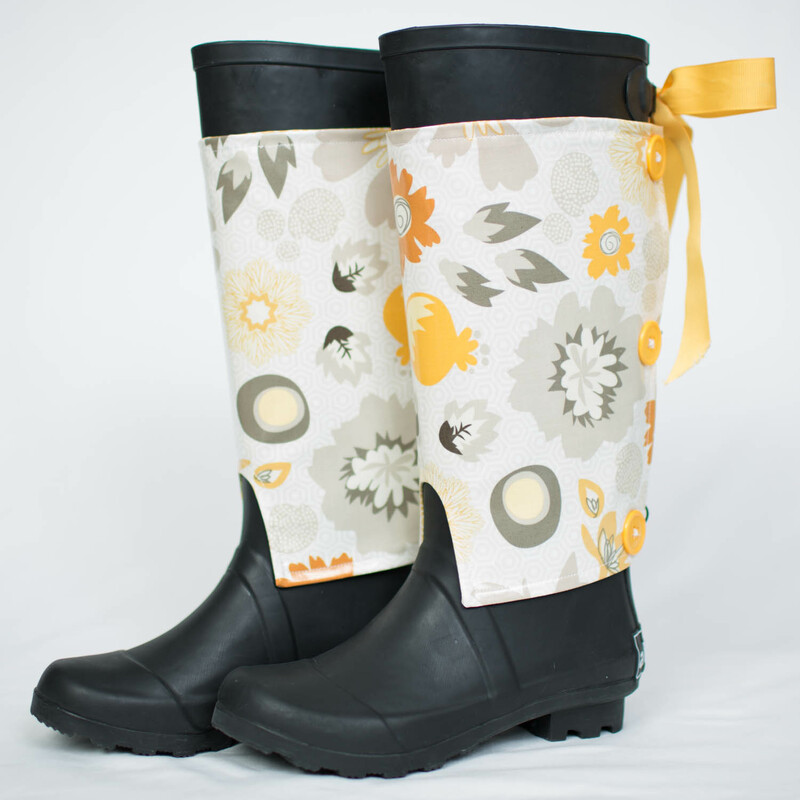 Sunshine Yellow wraps are the perfect addition to any outfit on a dark, rainy day to help chase those clouds away. 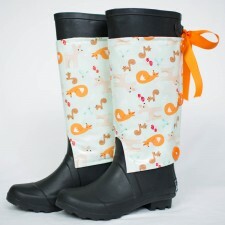 Our specially designed rain boots have little loops on the back of them to hold the wraps in place. 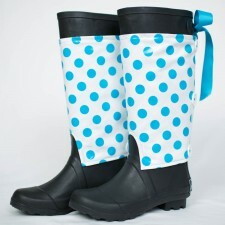 This ensures that gravity won’t take control and pull the wraps down to your ankles. 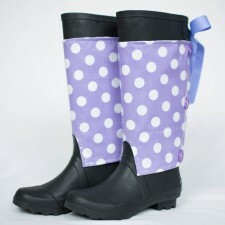 Our boots range from sizes 6-11 with the calf sizes ranging from 15″(6)-16″(11). The boots are true to size in the feet and are only sold in half sizes, so if you wear a half size, please choose the next size up. 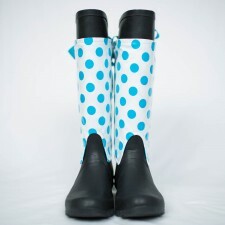 This will give you comfort room and also allow you to wear thick socks on colder days. 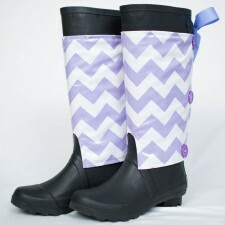 All of our wraps are created to fit on any size rain boot from Aly’s Boots. 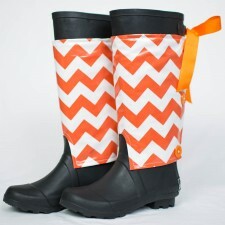 Our wraps are waterproof too, so cleanup is a breeze! Just wipe down with a wet rag, and you’re good to go. But the best part of all? 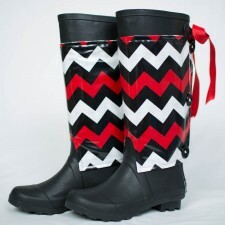 Our wraps are made in the USA, so you can know you’re supplying jobs for ladies right here while also getting a cute pair of wraps and rain boots!